▻ Do you want to learn or improve at chess? ▻ Do you want to master the most prestigious, the classiest game ever, while having fun? It's EASY, and you can start right now! Sounds silly? Well think about it... How did you learn to talk when you were a child? Did you take grammar and spelling lessons? Of course not. You just went with the flow, because that's the most effective way to learn! Chess Tiger allows you to do just that, AND IT WORKS! In two minutes you start learning effortlessly. You start having fun immediately, and notice after just a few games that the right moves come to your mind naturally, as if they were obvious. If it still sounds incredible, please read the reviews. Chess Tiger has one of the highest customer satisfaction of the App Store! Also, Chess Tiger is the only chess app that analyzes your games to show you how to improve, and is also one of the MOST COMPLETE apps for players of all levels. This app doesn't display any banner ad. - Improved "Analyze my game" feature. - New relaxing "Green felt" visual theme. When going to settings and clicking on the link saying I have zero free games left, the developer says something like, “Let’s be honest, we offer the free version in hopes that you will purchase the paid version”. Unfortunately, your paid version is $10 (which is from your a “limited time” offer of 50% off - haha). Not many people are paying $10 for a chess app. I would pay a few bucks, but that’s all. I think many people are like me in this regard. Obviously, the developer is overvaluing the price of this app and thinks that eliminating the free version will drive people to purchase the overpriced pro version. That won’t happen, but hey, that’s his right. So instead of having a reasonably priced game which many people would buy (because it’s a great app), they make the free version useless and alienate all of the loyal players who would’ve paid if it was priced reasonably. Now it’s on to searching for another chess app...it’s not like there aren’t a million others to choose from. Sure seems like a poor decision on their part. Five people paying $3 for the app (and recommending to their friends) is better than one person paying $10. Just sayin’. Good news: you do not need to purchase anything! For most players, this free app DOES NOT EXPIRE and provides a real challenge! You can learn chess and work your way thru the first 15 levels of difficulty FOR FREE! After this, you are stronger than most of the chess players out there! Yes, for free. It's sad that you missed how much we have improved this app recently. It comments your game while you are playing and gives you positive feedback. You can turn this off, but most reviewers note that it is a very useful feature. And it's free. After the game, it shows you both your good moves and your bad ones. This is an invaluable tool. This feature mimics a Grandmaster analyzing your game and flagging the most interesting positions. It took us one full year of hard work, and a lot of love, to fine-tune this. 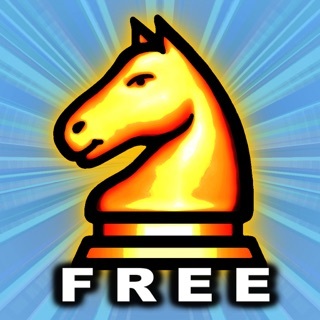 It is the most advanced chess analysis tool available for iOS, and you can use it for free! By focusing on your strong and weak points, you will improve your game very quickly. 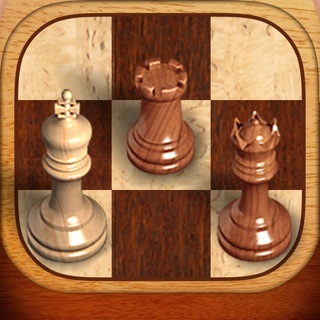 If you are an advanced player or you really are into chess, you can purchase one of our other chess apps. We sell one for $3.99 and the most advanced one is currently $4.99! I downloaded this game in the Summer of 2018 and loved it. You could work your way from lower to higher level Computer Opponents to improve your skills. Each time you met the requirement you got a token to use a pro-feature like setup position, analysis, playing a game with your friend. It gave you a taste of the Pro-version that would convince anyone to buy it because it was a good app. But then they updated it. With the update they cut the features I used to use. You will have 10 free credits to play some good games and higher level opponents but then it’ll water the game down more and you will have minimal features. Can you even really get into the apps features with 10 games? Or will you spend it trying out the features only for it shut those off when you run out. All the new info says “we just want you to buy the pro version” instead of what they offered before. I get you made the app to make $ but I know people who bought it because of the quality of the lit-version. It didn’t feel like a bait and switch before but now I’m disappointed. ...the green light that is! Work your way up to a level where you can't win, then turn on the green button and play a few games until you begin to feel the rhythms and patterns of that level. Helps with opening and protecting your king. You also begin to realize that just one piece difference wins the game at higher levels. Try out the masters levels just for fun - hard to imagine anyone being able to think that far ahead - probably the same guys that memorize pi out to 10,000 decimal places. Only improvement I would suggest would be to provide more commentary on strategies as you are moving and an overall description which characterizes each major difficulty level (i.e., the novice level player does not miss seeing attacks and has a command over all pieces. Works in single strategy, etc). For that I would pay more. I have painfully learned more about draws and stalemates than I ever wanted. Great app!